Numerous ArilSytems have been installed in countries worldwide including in the United States, South Africa, Chile, Israel and more. Below are a few success stories. Following 4 years of successful run-in operation in the US, Turkey, Israel and Spain, ArilSystems were installed by a number of Spanish companies. Frutibon, subsidiary of Spanish fruit marketing company Bonnysa, is operating its own ArilSystem. Altabix is operating two ArilSystem production lines for Spanish fresh-cut market leader, Bakkavor Iberica, a major supplier to Marks & Spencer. Indian company Fresh Acres has added pomegranates to its line of food products. 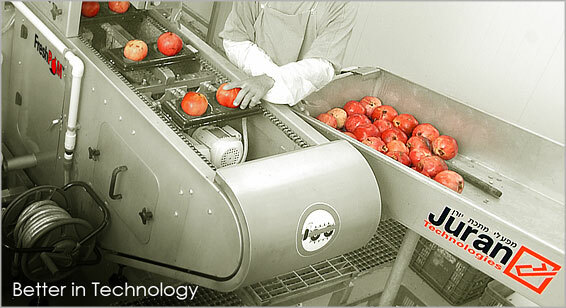 From a single ArilSystem production line, it is processing 28 fruits per minute and handling some 600 kg of fruit per hour with a yield of over 200 kg of high quality seeds every hour. Fresh Acres exports their fresh pomegranate arils throughout Europe. Indian company Amit Pomeg-Tech is well positioned to meet the growing demand for a better tasting, better quality pomegranate juice after installing two ArilSystem production lines, each handling 20 fruits per minute. A large order from Japan for the compact ArilSystem juicing machine is aimed at supplying juice to restaurants and hotels seeking a pure, better tasting pomegranate juice. Minimizing the bitter taste of tannins characteristic of juicers that do not separate out the peel and membrane parts, juice produced from the ArilSystem has a definite competitive edge. ArilSystems have been installed in Australia allowing operators to command a better price per kilogram of arils, while offering the growing number of consumers worldwide a superior product. In addition to these examples of ArilSystems in action, there are many more systems in operation around the world. See our Global Presence page for a map of locations.